In light of the recent “Freedom of Religion” laws being passed I have strongly advocated for the fact that we, as free and sovereign individuals, are free to associate, or not, with whomever we want. And for how ever long we want. In fact I have largely gone further than these laws and have claimed that we don’t have to invoke some ‘Freedom of Religion’ nonsense, we simply should be allowed to decide with whom we do business. First the second – consider a grocery store selling reasonable and common products hires you to check customers out in line. You, as an employee, are not at liberty to both KEEP your job and refuse to service pork. 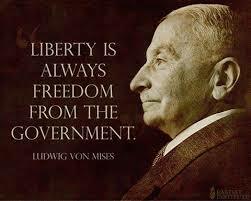 Second the first – As a government, you are not free to restrict access to public goods based on your discretion. The good Mr. Berger is wrong here; the magistrate is free to withdraw from performing this service, but he then disqualifies from holding office or his job. You have to be living under a rock if you haven’t heard of the bill that passed the state legislator in Arizona. SB 1062 would allow businesses to refuse services to gay and lesbian customers based on their religious faith. 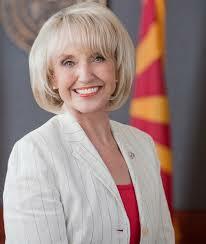 I think that Governor Brewer should veto this law because it singles out people who might be homosexual in an unfair manner. We allow ourselves to be governed in exchange for a certain degree of order. We allow ourselves to be subject to the confiscatory practice of taxation in order to pay for that order, that law and order. And we give power to men that we wouldn’t otherwise give. Power corrupts – absolute power corrupts absolutely. 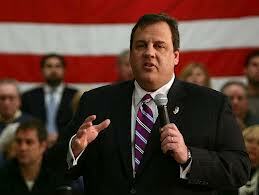 The Christie administration retaliated against a political slight. But they didn’t retaliate against the political operative, in this case a democrat mayor who didn’t endorse Christie for governor – no, they retaliated against the people that live in the mayor’s town. The Christie administration order lane closures to ensure a traffic nightmare would take place on a bridge serving the mayor’s town. This isn’t denying an appointment, this isn’t leaking sensitive information to the press and this isn’t shelving legislation favored by an opponent. This is wanted abuse of political authority it retribution of a perceived slight. This was planned, this was deliberate and this was malicious. I’m not sure that Christie himself ever knew or gave the order – that may or may not come out. But in the same way that Obama sets the tone in the White House and is responsible for the various scandals under his watch, Mr. Christie is responsible for the actions of his deputy chief of staff. Will this signal the end of his career? Who knows – I doubt it. Traffic is traffic after all. And, to be sure, the only career he has remaining is to be a serious contender for the GOP nomination in 2016; something he wasn’t guaranteed to win before this happened. But if I had to guess, this alone doesn’t sink his chances, in fact, how he handles it may serve to help him. One of the core arguments of the libertarian movement, and the Tea Party, is that government interference is damage meant to be minimized. This is why such groups rightfully are frustrated when liberal government agencies refuse to issue permits to Tea Party groups or charge them for such permits while issuing them for free to like minded groups. RALEIGH — The governor’s administration was unable to keep demonstrators off state Capitol grounds on Monday despite an attempt to deny the group a permit to assemble there. Judge Allen Baddour presided over a Wake County Superior Court hearing on Monday in which he overturned an administrative decision to confine the demonstrators to Halifax Mall, a big grassy area enclosed by state office and legislative buildings. The hearing was held hours before an evening rally organized by the NAACP state chapter president Rev. William Barber II and others opposed to new policies and laws adopted this summer by the Republican-led General Assembly. People gather at the Capital all the time – perhaps it’s reasonable to have a permit process. After all, there may be legal reasons to adjudicate liability in the event of damage or injury. That aside, the people in The Moral Monday movement are free to assemble and grieve to their government. To be certain, they are wrong minded and shortsighted, but we are, after all, a free nation. The new governor of North Carolina is getting the “how to” from the Left here in Carolina. Much of the complaining is petty and Occupy’ish. The normal gnashing of teeth, the “hating” and the “racisting” and the “poor” stuff that always accompanies the Left. Gov. Pat has bent over backwards to defend the DHHS pair by (1) insinuating AGE discrimination by the media and (2) suggesting that the raises and hiring decisions were handled in a very private sector -like manner. Nonsense. In this economy, NO ONE in the private sector is handing out raises of that size. NO PRIVATE SECTOR EMPLOYER is handing out that kind of responsibility, those kinds of raises, or that level of pay to anyone two years out of undergrad. While this story is embarrassing to Gov. Pat, I don’t think it’s fatal. The story line gets problematic when you tie it to the spin about “draconian education cuts” and teacher pay. If you’re not a teacher, you are likely to be related to, or know someone who is — or has been — a public school teacher. You hear about the bureaucratic garbage teachers have to deal with, and see how many have to work multiple jobs to make ends meet. Take that information — pile it in with the stories about these two wet-behind-the-ears kids who don’t even have master’s degrees getting RAISES bigger than many teachers make in a year — and your blood pressure can start to rise. 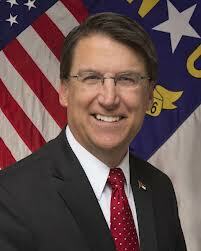 This whole matter illustrates to me just how politically tone-deaf McCrory and his team are. Education & The Economy are the two top things on the minds of the people out there. I think the criticism is valid. Kids straight oughta college really don’t expect to make the kinda cash these guys are; $87,500 and $85,000 respectively. And to hand out raises to 24 year old kids with little experience during times like this – well, it’s tone deaf in the same way that Obama playing gold so often is tone deaf. As the debate raged over Obamacare, I warned that republicans were painting themselves into a corner. It has been correctly pointed out that the idea of the individual mandate was an idea first introduced by the right. After all, by requiring everyone to purchase health insurance, the costs would be spread more equitably – those more likely to require care would pay more, those less so would be less. While that debate was raging, republicans were pushing the idea of reforming Social Security. 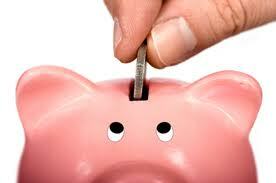 The goal was to institute personal retirement accounts. In other words, the government would still take 6% of your money, probably 6% of your employers money, and give you the option of investing it as you so desired. I didn’t see the difference between forcing someone to purchase health insurance and forcing them to purchase savings accounts. To be sure, both are good ideas – VERY good ideas. But having the government force it on us? No bueno. California lawmakers are pushing a controversial, first-in-the-nation plan that would require private-sector employers to remove 3 percent from every worker’s paycheck. The money would go into a new state fund with a guarantee that all withheld funds plus investment gains will be available for distribution at retirement age. The idea behind the Secure Choice Retirement Savings Program, which got preliminary approval, is for it to be a state-run supplement to Social Security, but only for people who don’t have traditional workplace retirement plans. For an estimated 6 million working Californians, the benefit of a pension or 401(k) is out of reach — so state lawmakers are trying to implement the new mandatory retirement fund for private sector workers. Now, to be fair, there is NO WAY that California doesn’t spend the money before the benefits come due causing a dramatic budget deficit. Beyond that, however, there is little difference between this plan and the one republicans called for in social security reform. Maybe the good news is that by being continually to the right of the crazy, the crazy will feel the need to move right. I’m not entirely clear on either side of the debate, but most especially with the republican argument. Best I can tell, the idea is that granting amnesty to existing aliens is bad. I don’t know why republicans think that’s a bad idea, but I know why I think it is. And that reason is that I know, am friends with, a number of foreign nationals that are on a multi-year waiting list to obtain a simple green card. THEY want permanent resident status and to eventually become a citizen. These guys are paying taxes, buying homes and even contributing to social security. All with no assurance that they will be allowed to remain here in the States. I think I’m pretty libertarian in my thinking that while borders are important, they should be made to cross as easily as possible. A simple check for legal status in native country, terrorist watch list and potentially dangerous disease. Other than that, I’m for letting anyone and everyone in. But this insistence on “no amnesty”…what does that mean? 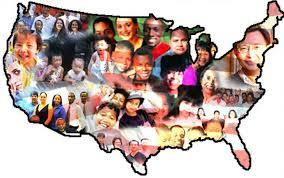 Do republicans feel that the folks already here, with families often 2 generations deep, cannot become a citizen ever? Or until they return home to their native country and apply? Is THAT what we really want? Is that good for the nation? I don’t think it is. And I’d bet that most folks would agree with me, even the republicans. So why this insistence on no-amnesty if they can’t even articulate what that means and why they support the position? In the state house? The republicans not only held serve but they extended their majority. To the point that they hold a veto proof majority. In fact, they are so in the majority that the republicans are able to submit constitutional amendments to popular vote without even one democrat agreeing. A bill filed by Republican lawmakers would allow the state to declare an official religion, in violation of the Establishment Clause of the US Bill of Rights, and seeks to nullify any federal ruling against Christian prayer by public bodies in North Carolina. The bill grew out of a federal lawsuit filed last month by the ACLU against the Rowan County Board of Commissioners. In the lawsuit, the ACLU says the board has opened 97% of its meetings since 2007 with explicitly Christian prayers. 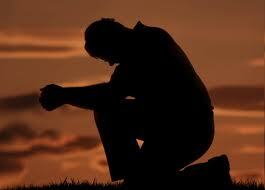 Overtly Christian prayers at government meetings are not rare in North Carolina. Since the Republican takeover in 2011, the state Senate chaplain has offered a explicitly Christian invocation virtually every day of session, despite the fact that some senators are not Christian. Sec. 8. Disqualifications for office. Serious, under the state constitution, if you deny the existence of God, you are disqualified from holding office. And, as the article mentions, prayer at meetings is not rare; apparently we do it fairly often. Again, not sure what the point of the bill is, but it certainly will be interesting to watch. CINCINNATI – Republican U.S. Sen. 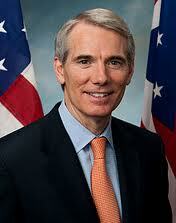 Rob Portman said Thursday that he now supports gay marriage because one of his sons is gay. Ohio’s junior senator made the disclosure during an interview in Washington, The Cincinnati Enquirer reported. I’m not so sure that this signals a tipping point in the GOP, after all, Cheney supports gay marriage, but I could be wrong; this could be the beginning of the thaw. If only Mr. Portman could have arrived at this conclusion under different circumstances. North Carolina has gone decidedly red in recent years. After voting for Obama in 2008 along with a democrat for governor and senator we have gone red; very red. In 2010, however, that all changed. Republicans won majorities in both the house and the senate. In fact, it was the first time that had been the case since the Civil War ended. In 2012 the trend continued. North Carolina was the only battle ground state to switch and go for Romney. The governor’s race was, in essence, a rematch between the candidate from the 2008 election. Except the sitting governor chose not to run and instead we saw her Lt. Governor get trampled. In the state house? The republicans not only held serve but they extended their majority. To the point that they hold a veto proof majority. In fact, they are so in the majority that the republicans are able to submit constitutional amendments to popular vote without even one democrat agreeing. I think this level of dominance is dangerous. Dangerous in the same way that I thought the democrats held control of the federal powers in 2008. So far, the majority has taken to a little political payback. The democrats, predictably, have squealed, but to be very fair, the fact that they are not getting their way after more than 100 years of uninterrupted control is a bit of righteous karma. Resurrecting last session’s bruising battle over the death penalty in North Carolina, a Republican state senator on Wednesday filed a bill to wipe all traces of the Racial Justice Act off the books. The 2009 law allowed statistics compiled statewide to be used to prove racial bias in the prosecution, jury selection or sentencing in capital cases. Now, in full disclosure, if I could have the “Eye of God” and be certain that the guilt or innocence of an individual could be ascertained with certainty, I have no problem with the death penalty for certain crimes. However, we do not possess this “Eye of God” certainty and, in fact, I have no more faith in the government “getting it right” when determining said innocence or guilt, or the sentence associated with that verdict, than I do with that government managing health care, or nutritional needs, or education. In short, I don’t trust government all that much at all. So when people tell me that the poor and minorities are subject to sentences of the death penalty in meaningful volumes, I advocate creating a law that has the ability to not change the verdict, but change the sentence from death to life in prison. And the republicans are changing that.